Have you ever heard of the immensely popular South American brandy-like spirit, Pisco? If you haven’t, which is highly possible, as I hadn’t before moving to Santiago, Pisco is a type of grape-brandy, made in the wine producing regions of Chile and Peru. Pisco is by far the most commonly consumed liquor throughout these two countries and can be found in almost any bar or restaurant regardless of the type of cuisine served. Actually, most people wouldn’t be caught dead ordering anything other than a “Pisco Sour” (similar to a margarita) or a “Piscola” (pisco mixed with Coca Cola) at the bar in either country. There is also quite a bit of controversy and a colorful history surrounding this potent intoxicant. Both Peru and Chile claim that they “own the rights” to this unique and treasured spirit, continuously arguing over its place of origin. 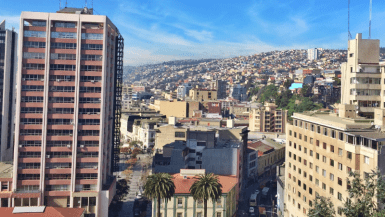 It’s still a pretty sensitive subject among Peruvians and Chileans and you’ll get a completely different story every time, depending on who you ask. Yeah, that’s right, these people are pretty passionate about their Pisco. 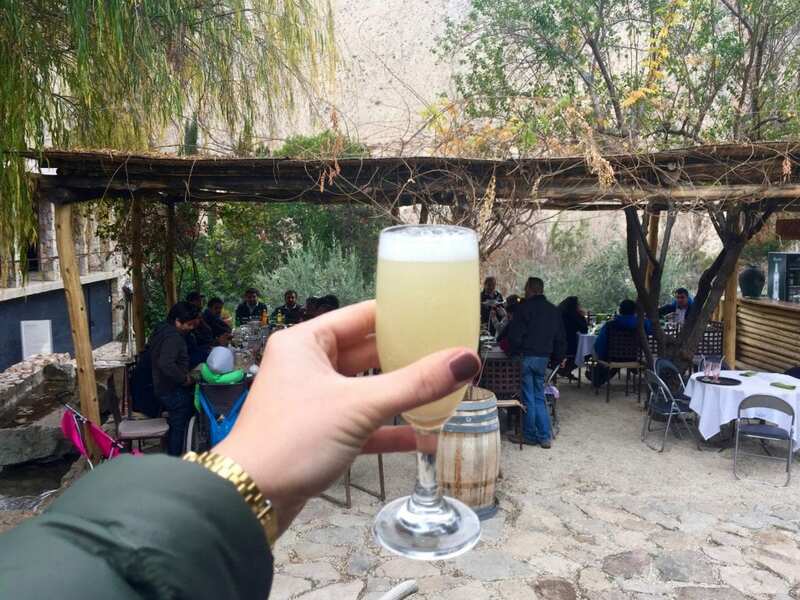 Pisco is so important in this part of the world that there are even several towns named after the beloved beverage, one of them the quaint, mountainside Chilean village, Pisco Elqui. Pisco Elqui, found deep in the Elqui Valley a few hours north of Santiago, still produces Pisco the traditional way, just as it started over 100 years ago. It is a great place to escape the contamination of the city, relax in the heart of nature, further immerse yourself in the history of Pisco (well, the Chilean version anyway), explore it’s production and of course, try some for yourself. Moral of the story-I visited this village a few weeks back with friends and I had an awesome time! 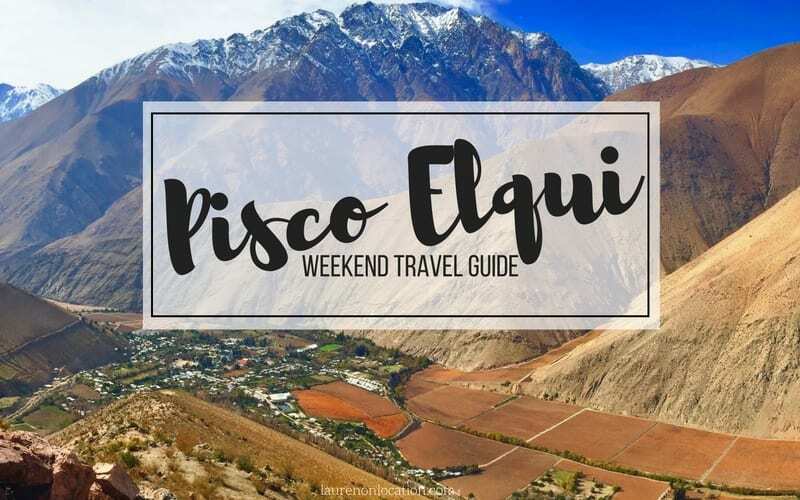 It’s a fairly cheap and easy trip from Santiago, so if you have the time, Pisco Elqui is very worthy of a trip! The Elqui Valley is a picturesque rural region, north of Santiago, running between the Andes mountains and along the Elqui river. It’s known for its prosperous agriculture and extremely fertile soil cultivating exceptional produce including oranges, chirimoyas, avocados and vast amounts of fragrant grapes used to make wine and pisco. 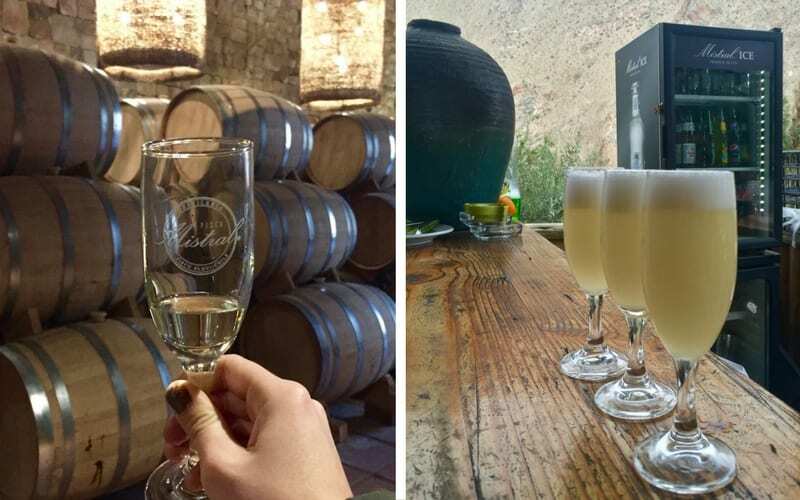 The biggest town and transport hub of the Elqui Valley is Vicuña, but I suggest venturing even a little bit further to the town of Pisco Elqui. Pisco Elqui is one of the most popular destinations in the valley and the moment you arrive, you’ll understand why. Despite the influx of tourists that flock here during vacations and weekends, this little rustic village maintains it’s small town appeal. There is no such thing as a rush or a schedule in Pisco Elqui, it’s all about relaxing, taking your time and enjoying your surroundings. The town is remote, quiet and smack in the heart of the Elqui Valley, making it the perfect place to spend a lazy weekend with family or friends. From Santiago, you will first have to pass through the coastal town of La Serena to get to the Elqui Valley. To do this you can either take a bus or fly. If the weather is nice, you may even want to spend a day or night in La Serena and take advantage of the city’s expansive sandy beaches. I opted for the overnight bus option to La Serena (as it was much cheaper at the time), but flights are often very reasonable and also save some time. Depending on the company you chose to go with, the days and type of seat you chose, the bus will be anywhere from 6-8 hrs and cost from 5.000-20.000 CLP. You can look up bus schedules and prices here. Prefer to fly? You can find affordable flights with LAN or SKY. From La Serena you will have to catch another bus from the bus station (Terminal La Serena) or from the parking lot in front of Lider (Chile’s version of Walmart). The buses will take you through the Elqui Valley, past Vicuña and on to Pisco Elqui. You will see a sign in the front window of the bus reading “Valle del Elqui,” or “Pisco Elqui.” Buses are very frequent and should cost around 3.000 CLP. The trip will take about 2 and a half hours. As I mentioned before, Pisco Elqui has the name Pisco Elqui for a reason. Right in the middle of town, next to the main plaza, you’ll find Destileria Pisco Mistral. Here you can take a tour of the premises with full explanation in either Spanish or English and learn all about the history and production of Chile’s beloved brandy-like spirit. For 6.000 CLP, you’ll get a breakdown of how Pisco is made, a free Pisco tasting, a Pisco beverage at the bar for before or after your tour and you even get to keep a glass as a souvenir! Quite the deal and a great way to spend an afternoon! There are a few guided hikes run by tour companies available in Pisco Elqui, but it’s also totally doable to do one on your own. I was traveling on a pretty tight budget, so we chose to save the money we would spend on a guided hike for something else and navigate this one on our own. We asked the owner of our hostel for directions, and he happily sent us in the right direction. If you’re looking to get a good view of this magnificent valley and I seriously suggest you do, you’ll have to get up high! You can take a half-day hike, right from the center of town, up a nearby hill to a lookout point. 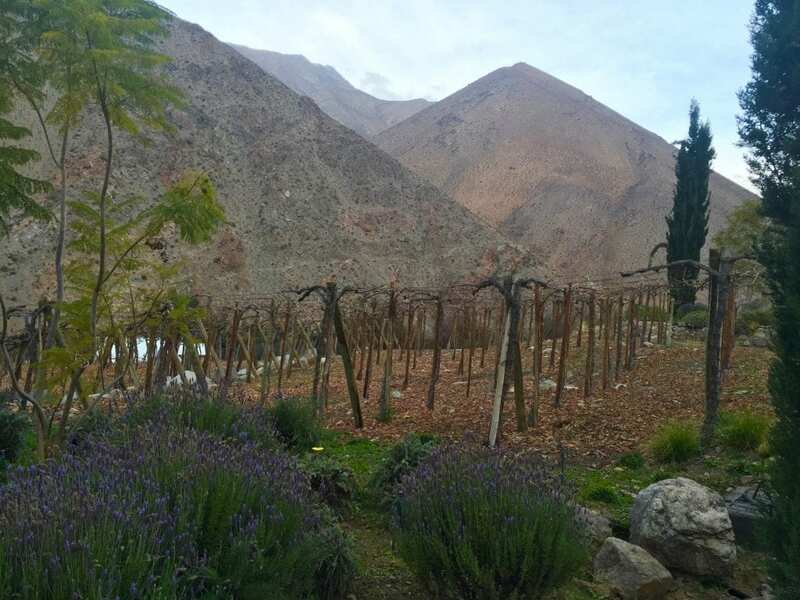 From here you will be able to see the entire town of Pisco Elqui, nestled down deep in the mountains, and the sprawling expanse of vibrant vineyards lining the valley. How to get to the “Mirador”: Follow Calle Baquedano, past Hostal Triskel until the very end of the road. Eventually you will come to a dirt road which you will follow up about three switchbacks and then stay to the right on along the road. Follow the road for a little while longer and keep your eyes open for a dirt path that breaks off the road to the left. It may not look like much, but you can follow that up a ways and then take the spine of the hill as far up as you’d like to go. We found a small clearing with some rocks a ways up where we stopped, took in the views and had lunch. The Elqui Valley is known for having one of the clearest skies in the world. To take full advantage of this incredible starry night sky, you’ll have to venture a bit outside of town to escape the light pollution. The later you go the better. You can either do this on your own, or if you’re looking to get some more information and a closer look by use of a telescope, you can take a stargazing tour. 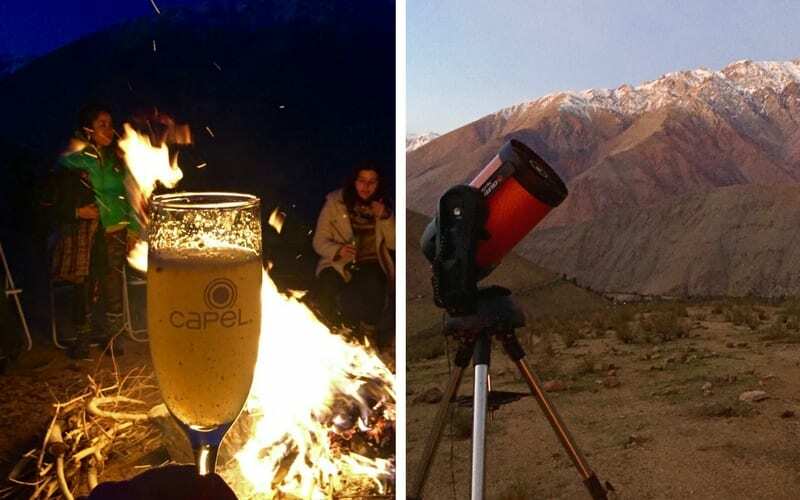 We took a tour with Turismo Migrantes and got to enjoy a tasty Pisco Sour around a toasty bonfire while looking through telescopes and seeing Saturn, Mars and Jupiter up close. They were seriously some of the most breathtaking stars I’ve ever seen. The Astro Experience tour with Turismo Migrantes includes transfer in a passenger van, an astronomical guide, a professional telescope and laser for better seeing the stars, a bonfire and Pisco Sour for 15.000 (groups of 4 or more). Book your stargazing tour here. During my time in Pisco Elqui, I unfortunately did not have the time to rent a bike, but there were companies all over town advertising bike rentals. If you’d like to continue on through the valley to the even more remote village of Horcón, or simply spend some time riding freely along the colorful vineyards, you can find very reasonably priced daily rentals and even bike tours near the main plaza. If you have time on the way to or from Pisco Elqui (or are willing to make time because you really love beer) Cervecera Guayacán is definitely worthy of a stop. It’s located in Diaguitas, a community even smaller and more remote than Pisco Elqui, between La Serena and Pisco Elqui. They have a great beer menu featuring an India Pale Ale, a Golden Ale and a Stout (which you can buy by the pitcher if you’re with a group) a large outdoor beer garden and small food menu. 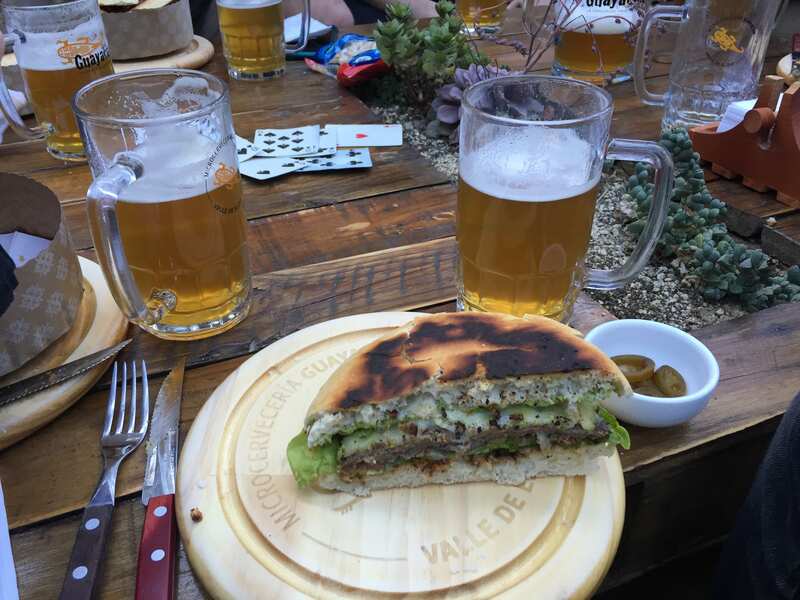 We spent the better part of an afternoon hanging out at this brewery, sharing pitchers of different beers, chowing down on some colossal delicious burgers, chatting and playing cards. If you want to go to Guayacán by public transport, take the same bus back towards La Serena and ask the bus driver to drop you at the Diaguantes stop. From there the walk is about 20 minutes past a farm field and through the town. It’s definitely a bit in the middle of no where and very remote, but thats all part of the fun! Hostal Triskel was one of the coolest hostels I’ve ever stayed in. My friends and I never wanted to leave. We spent A LOT of time at the hostel, hanging out, playing games and just relaxing and chatting. It was located just 5 minutes walking from the main plaza, but felt like we were staying miles away. The hostels huge backyard had a ton of seating areas with hammocks, tables, and a grill. 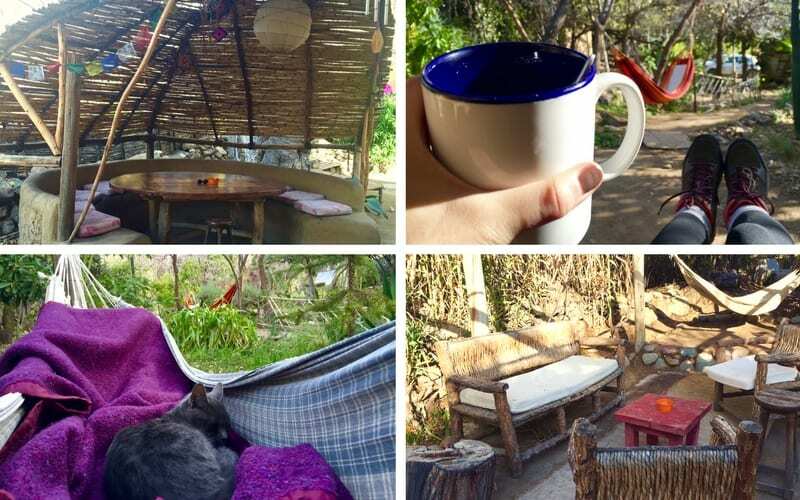 Hostal Triskel does a great job of giving you a bit of a camping in nature experience, while still having a warm comfortable bed to escape to at night. Book your stay at Hostal Triskel here. If you prefer to take the actual camping route, give Rancho Rodriguez a try. I can’t speak from personal experience, but many of my Chilean friends highly recommended this campground. Just know this is a party place and apparently gets pretty rowdy in the warmer months. It’s a popular spot for groups of Chilean youth to spend a weekend at bonfire-side parties late into the night. 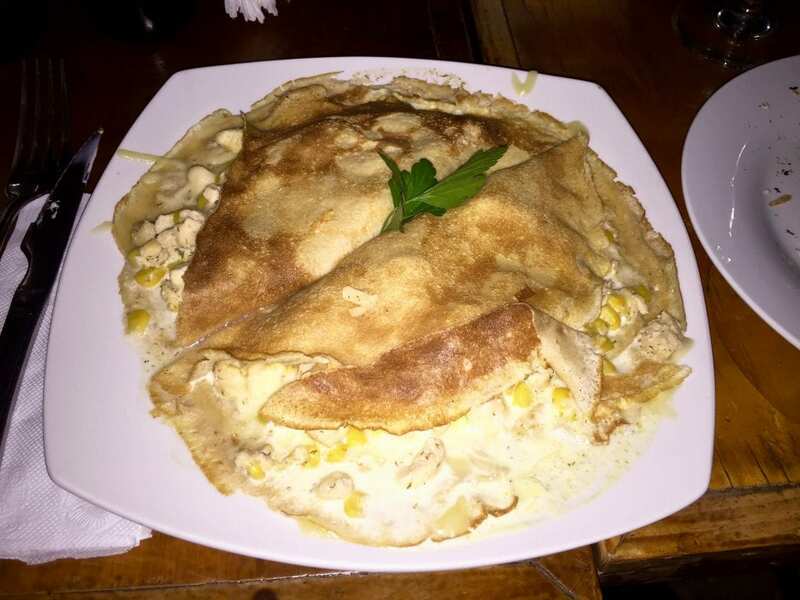 Food– Because the little town of Pisco Elqui is pretty remote, you may want to stock up on food beforehand. You won’t find one grocery store in the whole town and other than restaurants, the only supply of food will be found at “mini-markets.” In these mini-markets the selection is small and the prices are really high. Alcohol– Along with the food, what’s even pricier is alcohol. The same bottle of wine will cost more than twice the price as it would in La Serena. 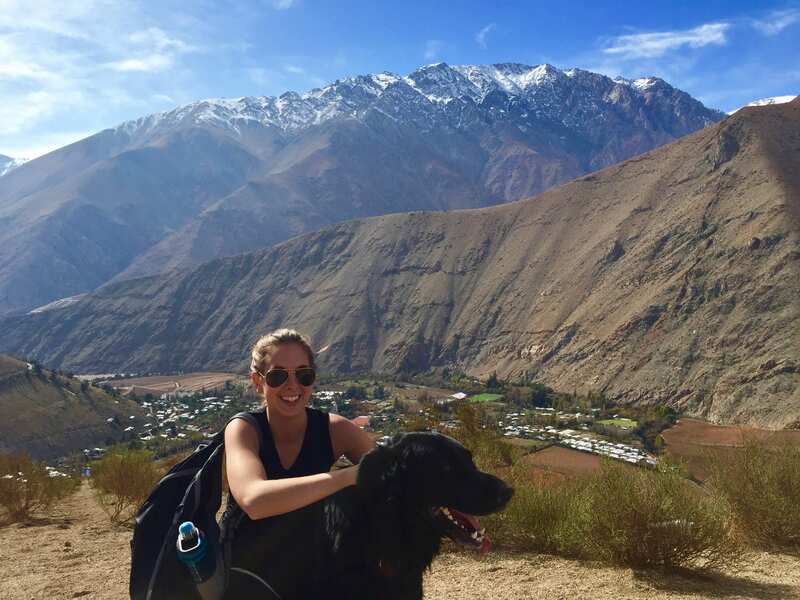 Sneakers/Hiking Boots– The town of Pisco Elqui is pretty hilly, so it’s important to bring some comfortable walking shoes, especially if you plan on renting bikes or doing a hike. This cozy restaurant has an outdoor open-air patio lit by candlelight and a bonfire at night and is right around the corner from Plaza de Armas. Their menu offers a variety of flavorful dishes and traditional Pisco Sours. The restaurant inside the Mistral Distillery is a bit on the pricier side, but is in a great setting and has very attentive staff. Their menu consists of typical foods of the region and a great selection (obviously) of fancy flavored Pisco mixed beverages. Alma is a cute, affordable café with outside seating. Come here for juices, tea, coffee and snacks like sandwiches or empanadas. El Rumor is one of the only bars open late in Pisco Elqui. There is a large comfortable outdoor seating area with a bonfire and occasional live music and flamenco shows. Liked this post? Pin it to save for later! Disclaimer: I received a free stay at Hostal Triskel and a complimentary stargazing tour from Turismo Migrantes for purposes of this post. Still, as always, all opinions expressed are my own. I would only recommend something that I genuinely felt would benefit my readers. 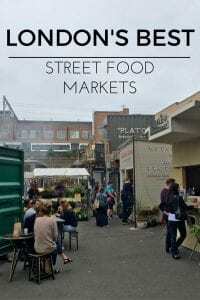 This week I’m highlighting London’s Best Street Food Markets by Jessi at Two Feet One World. 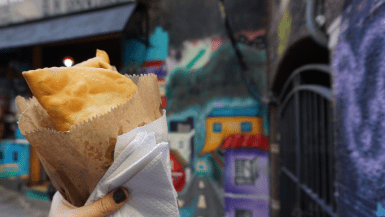 Street Food Markets are my absolute favorite and I can’t wait to put this post to use one day! Jessi literally had me drooling at my computer screen imagining all of these delicious treats! If you haven’t already, be sure to go check out her post and spread the love! Thanks for linking up with us Jessi! I love it when there is a local beverage that everyone raves about, so I’d definitely be down to try a “Pisco Sour”. And the Mirador valley looks beautiful! I can never resist a good hike when we go somewhere new. Also stargazing sounds fantastic, it’s something my husband has wanted to do for ages, but we still haven’t had the chance to. You sound already like a local 😉 I’d like to try Pisco but not the sour one. And stargazing meanwhile. What a great life! Wow doing a Stargazing tour definitely sounds like a unique experience while traveling! Normally we just visit cities and obviously its too bright to see anything! 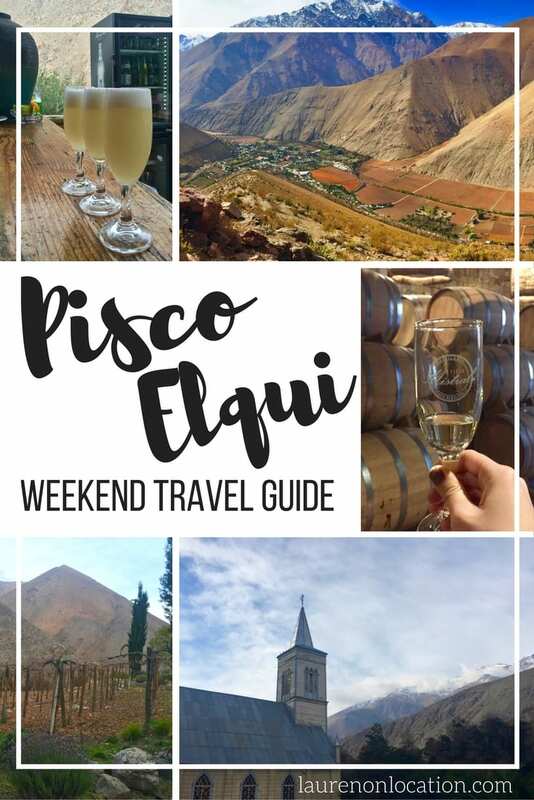 Pisco Elqui sounds like such a fun city with so much to do! I would definitely be all about trying the Pisco or going to the local brewery, and would love to go stargazing at night! One of the my favorite things to do when outside of a city is look at all the beautiful stars! If you like stars than you would LOVE Pisco Elqui. Seriously some of the craziest stars I’ve seen! There were so many and they were so bright and clear! Those mountains in Chile are just incredible! And I love the idea of going stargazing! In Norway, tourists are always so busy trying to see the Northern Lights that they are almost disappointed if they “only” see a sky full of stars – a shame really! That is a shame! A nice starry night sounds wonderful to me! An amazing guide to one of my very favourite places in Chile, I love Valle de Elqui so much, it’s such a special and charming place 🙂 Need to get back there again soon!! I must visit South America soon, Lauren.. your posts on Chile and Peru have been making me dream more and more about traveling there. Pisco Elqui sounds like a charming place to visit and love your description of the stargazing tours. Ahhh, this sure looks like my kind of destination! So fun!! These posts are making me want to visit this region too – the Elqui Valley sounds amazing. I love how Spanish-speaking countries have miradors: it always annoys me when there are gorgeous views but they aren’t really known about (like here in Ireland). That view is so spectacular. Those Pisco drinks look pretty good too, I could use one right now. I never really though about it, but yeah Spanish speaking countries always do seem to have Miradors haha .. You always know where you can find a great view! And I’m always looking for a great view! considering I wrote my post this week (and write often) about beer the Guayacan Brewery is giving me total heart eyes emoji right now! plus that sandwich in that pic looks bomb.com! I completely second Ahila’s comment about your posts always making me swoon after south america! Oh I’d never heard of this place before! Will have to visit next time I’m down there! 🙂 Pisco is by far some of my favourite alcohol, I love piscola and pisco sour! We always do it on september 18th for the fiestas patrias! i loved your post! i’m from santiago and i will visit el valle this weekend and i will visit your places! thanks!